Check out best cafe, bar & restaurant interiors at Yantram 3d Interior Designers with the most stylish designs that make drinking and dining a treat for all the senses. latest restaurant architecture and interior design, including chair style, seating area, dining view, ceiling lights, flooring etc. We are a leading organization which deals in offering Restaurant Interior Design Services to our clients. 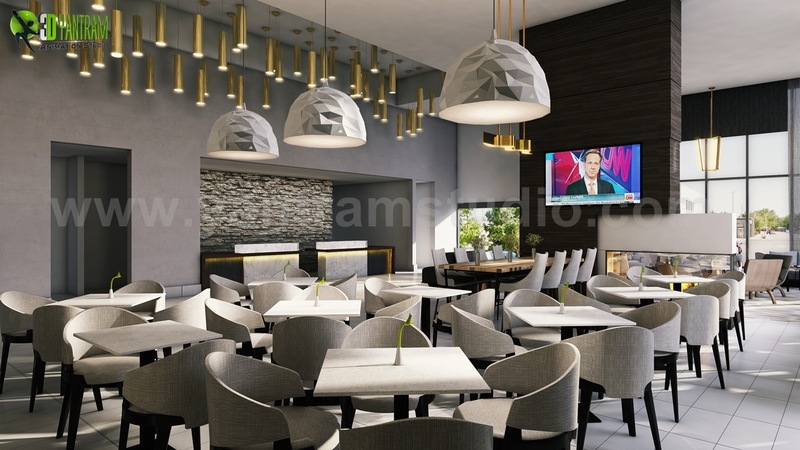 Restaurant design, interior design, restaurant interiors, modern, bar, cafe, design, ideas, furniture, decoration, 3d interior designers, 3d interior rendering services, interior design firms, 3d interior modeling.